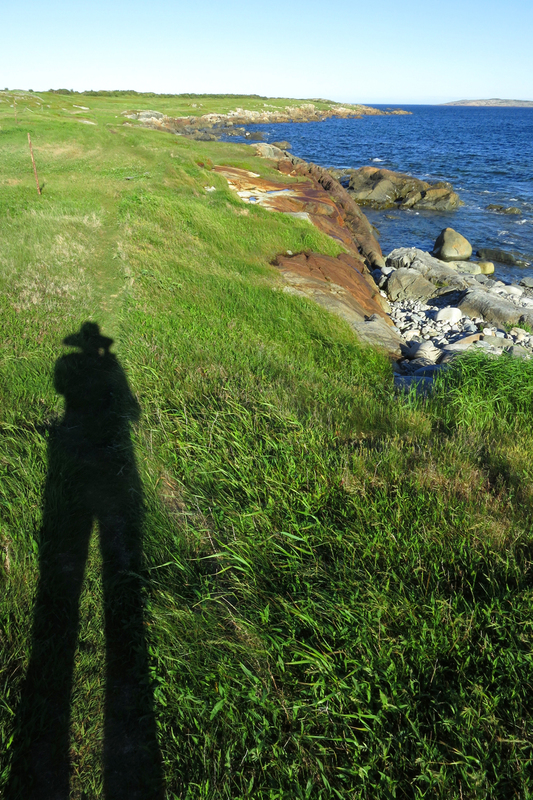 In July 2014 I was awarded an international artist residency with the Tilting Recreation and Cultural Society (TRACS) on Fogo Island, Newfoundland, Canada. During my two week residency I created an ephemeral, site-responsive work, Fogo Island Pebble Painting, a short video montage, Fogo Island Wind, and a series of abstract photographic images, Fogo Island Cracks. All three projects were inspired by my experience in an environment that is constantly moving; shaping time, space, tradition, culture, and the people who call this magical place home. 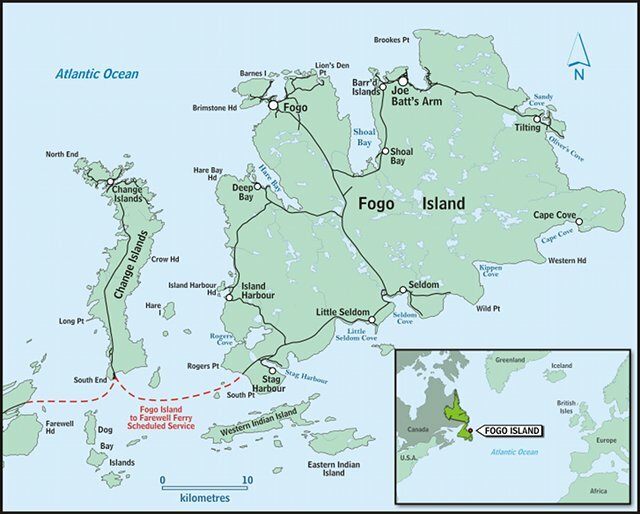 Fogo Island sits on the most northeastern point of Newfoundland, where icebergs float by and the weather shapes life. Irish and English descendants retain traces of their Old Irish and Queen Elizabethan English dialects and the island has many ancient folk customs brought from Ireland and England that are now disappearing. Fogo Island is one of the best places in the world to watch 10,000 year old glacial icebergs float by each spring along Iceberg Alley. During my residency, I stayed at the most northeastern end of Fogo Island in the town of Tilting (a Provincial Heritage District) in the Reardon House, an 1860's farmhouse nestled in a field of grazing sheep on the edge of a little inlet off the Atlantic Ocean called Sandy Cove. 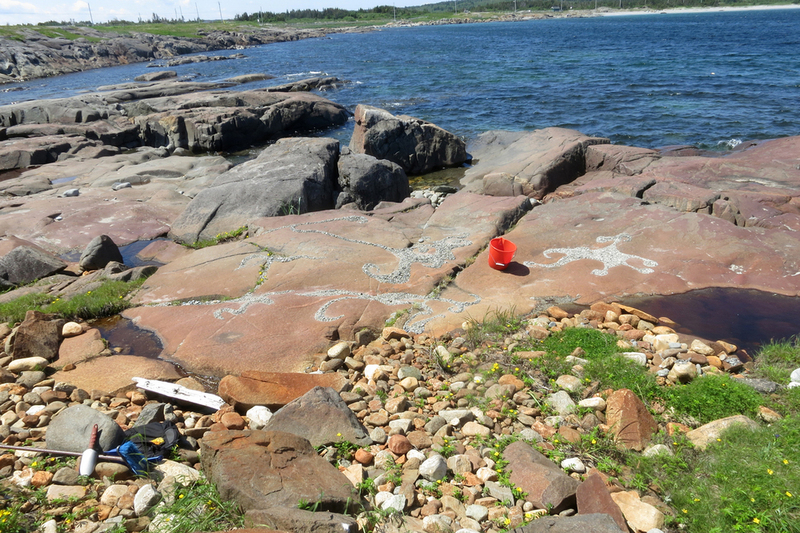 Fogo Island Pebble Painting is an ephemeral, site-responsive installation created on the edge of Sandy Cove and located along Turpin's Trail, one of the breathtaking shoreline hikes around Fogo Island. While walking through the sheep field from the Reardon House toward the ocean's edge, I noticed a series of large smooth rocks where small pebbles had collected in the depressions. Inspired by these natural patterns, I decided to sweep the surface clean and haul buckets of sand and pebbles from the beach to 'paint' organic shapes onto the rocks. I spent five days creating the Fogo Island Pebble Painting. At the end of each day I said goodbye to what I had made, knowing the weather could wipe it all away, and every morning was pleasantly surprised to find my work completely intact despite wind, tide and rain. This piece became an exploration of permanence amidst the power of change and is a tribute to the people of Fogo Island and their rich cultural heritage of 300 years. 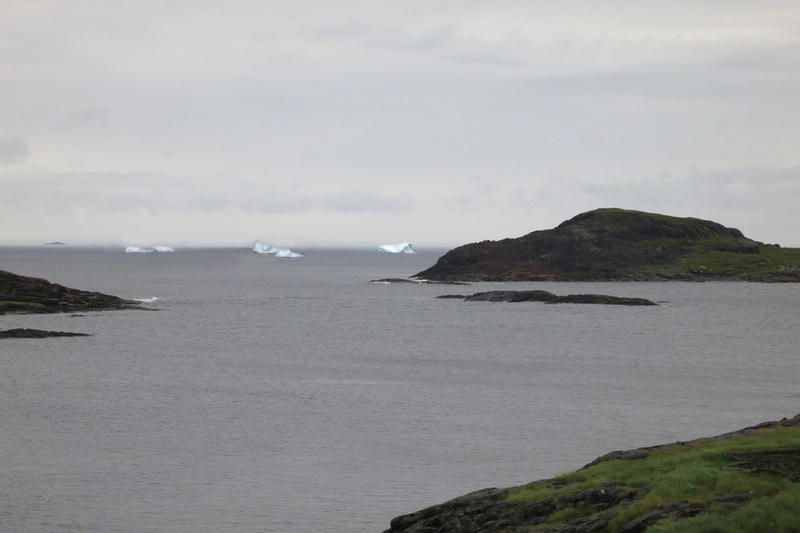 During the month of July, while icebergs floated off shore, the island was experiencing very unusual hot weather with no precipitation. Temperatures hit the 80's (normal temps are in the low 60's with regular rain showers) and pools of water near the ocean's edge had dried up and cracked. Fogo Island Cracks are abstract photographs of one of those pools along the trail to the Great Auk. I was extremely fortunate to experience a small slice of life in this magical place (thank you TRACS and everyone I met). Fogo Island gave me a new way of knowing in exchange for a piece of my heart, for which I am grateful.